MasterCard is working on a number of fronts to bring mobile payments to the market, partnering with Google on Google Wallet and throwing support behind Isis, the carrier-led NFC joint venture. But it’s got some interesting ideas of its own on how to spur mobile payments, shopping and interaction with a mobile phone. The credit card company showed off a handful of projects Thursday that highlighted how it can leverage mobile phones to encourage shopping using a variety of technologies, from QR codes and NFC to audio signals motion control. The projects are all part of a larger platform, called QkR for now, that is being incubated in MasterCard Labs and is close to being deployed in the coming months. 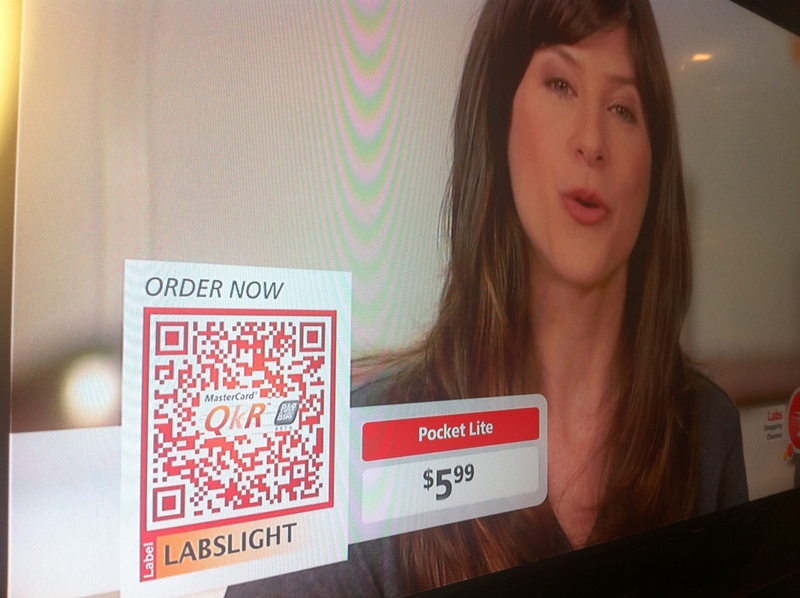 When consumers use a QkR app that contains their credit card credentials, they’ll be able to scan QR codes right off a home shopping network-like show. After scanning the code when they see an item they’d like to buy, the app will let them check out and buy the product immediately. MasterCard also showed off an NFC table coaster that allows people to buy products without getting up and scanning the QR code. Instead, the NFC reader recognizes what product is being shown on TV and initiates a transaction when a user taps their phone on the coaster. Another implementation involves audio scanning. Similar to the work that IntoNow and Shazam and others are doing, MasterCard can embed high and low frequency signals into TV commercials. When a user opens up their app and presses a button to listen, the app will recognize the signal and pull up relevant content based on the commercial. So a MasterCard commercial featuring the New York Yankees will pull Yankees gear for sale. The system uses high-frequency signals, which can work in loud settings and also can utilize low frequencies, which is how most scanning technologies work. 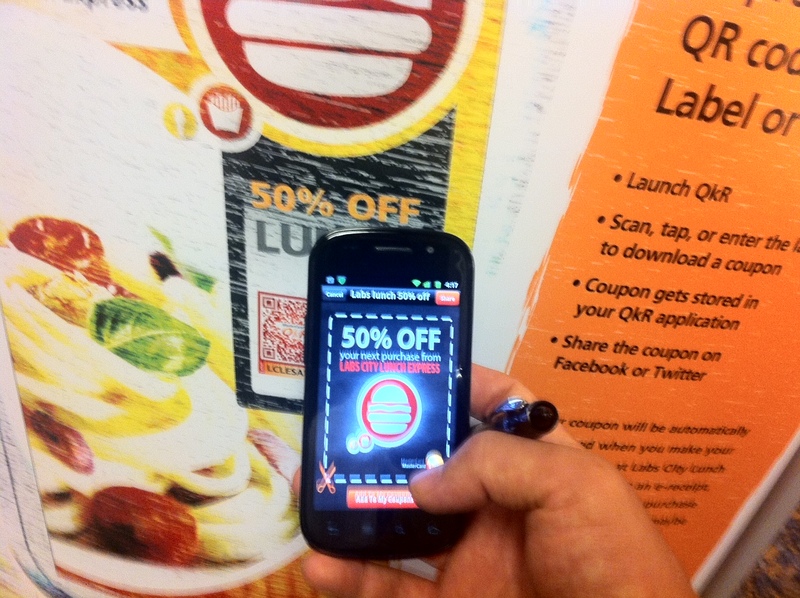 In a restaurant setting, users can scan a QR code or tap an NFC sticker to pull up discounts and coupons. And when they get to their table, they can do the same thing to pull up a menu, where they can order remotely and have their dishes delivered to their table. MasterCard said it’s talking to a lot of restaurants about this technology, which many businesses feel could be useful in improving efficiency. Users can also pay for their bills right from the app, which can also be a nice way to get in and out quickly. 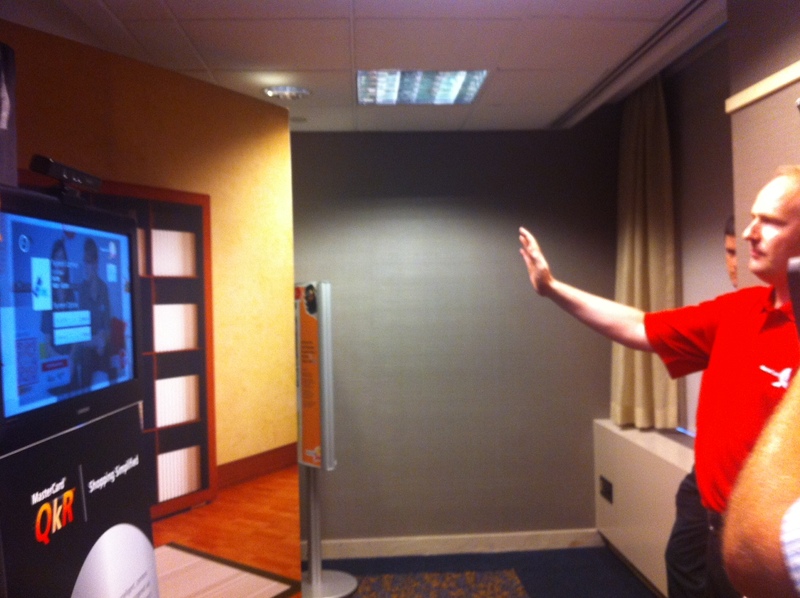 And finally, MasterCard showed off how QkR can work in conjunction with the Xbox Kinect motion control system. Users can wave their hands to engage the system and conduct a transaction for a product by just moving their hands to get through a check-out process. I’m not sure how many people need to conduct a transaction using gestures, but MasterCard is showing how you can utilize other technologies to facilitate purchases. And it’s further playing off the idea that people will be able to make more purchases right from their couch. Again, none of this is on the market, but an announcement could be coming in the next few weeks, I’m told. Since MasterCard is already a payments company, it makes sense for it to build apps and services that can speed people to the point of purchasing something. By using existing and emerging technologies and leveraging the mobile phone, MasterCard is trying to remove the barriers that might prevent or hinder people from buying things. This is going to ultimately change the way we interact with the world. 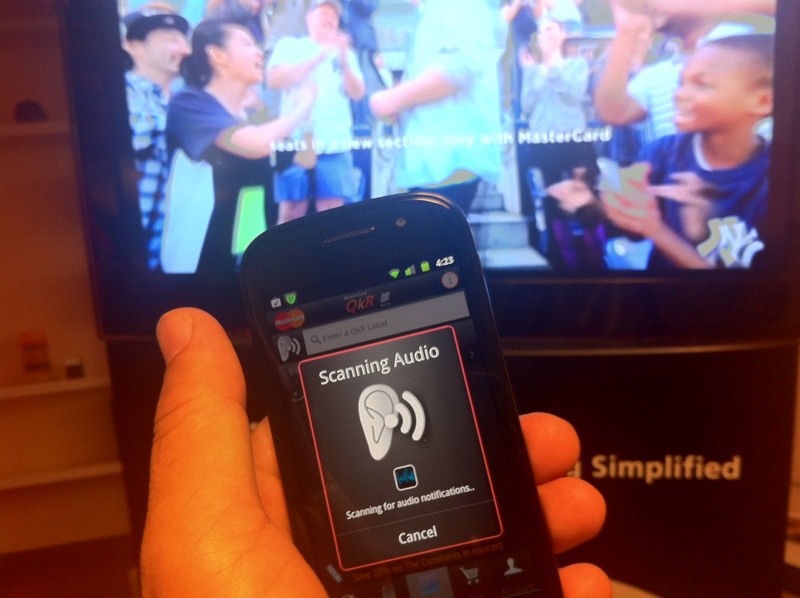 Our TV shows will likely be dotted with prompts to audio scan with an app. Stores will all come with NFC stations where people can check-in, get discounts and see what’s on sale. Restaurants may start to do away with waiters coming to take our order and instead let customers get their food order going by using their phones. MasterCard can win if it becomes the conduit for all these transactions and encourages people to open up their digital wallets more often. But overall, the MasterCard technology shows that there are still a lot of ways in which we can tap smartphones and other technology to get transactions going.